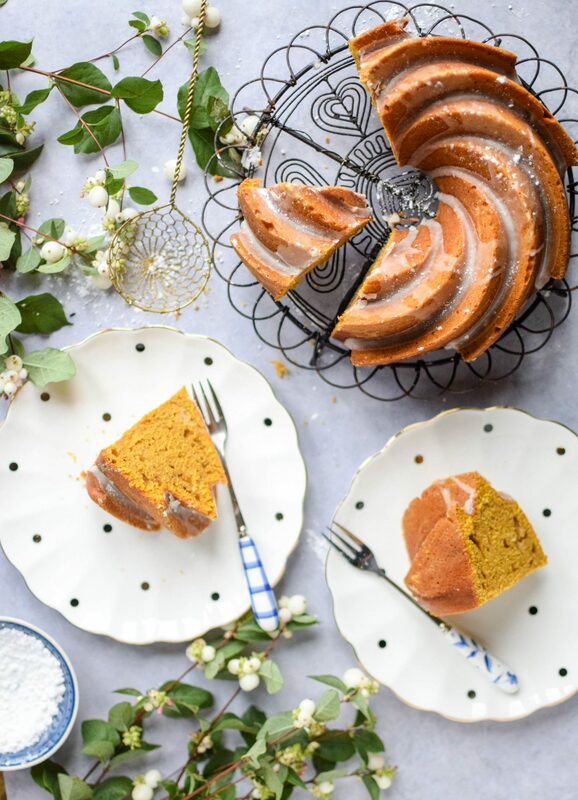 This pumpkin spice bundt cake is the perfect tea time treat for when the wind’s howling and you’re safely tucked up inside. Filled with warming spices and drizzled with a tangy lemon glaze, you won’t ever want to go outside again. It’s the most wonderful time of the year, pumpkin spice time that is. I know, I know, it’s the most basic of obsessions, but I just can’t get enough. I’ve always been one to be drawn to anything filled with warming spices. At this point I’m sure my body is at least 75% cinnamon. This pumpkin spice bundt cake speaks to me on a spiritual level, it’s my spirit animal. If I’m reincarnated, let me come back as a pumpkin spice bundt cake so I can fill peoples tummies with spicy goodness. 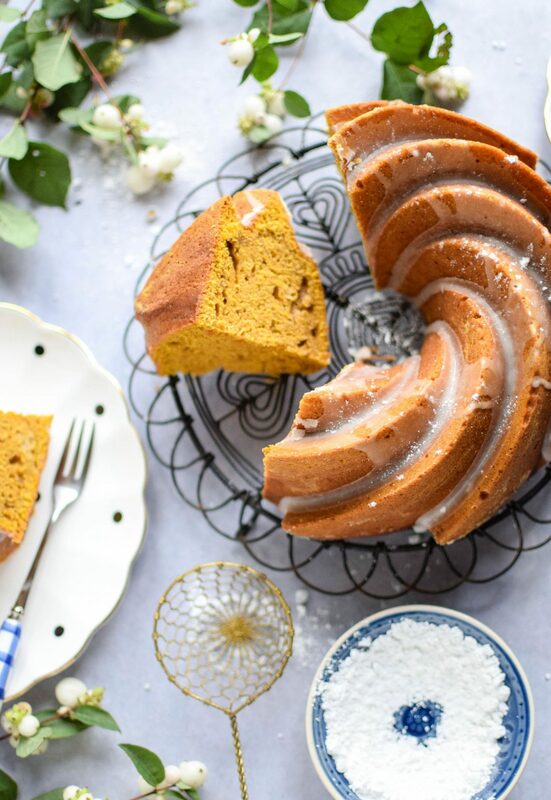 This is the cake I’d point at excitedly if I was to walk into a tearoom, ‘pumpkin spice bundt cake and a chai tea latte if you please.’ I wouldn’t even look at anything else, I’m all about this pumpkin filled babe. 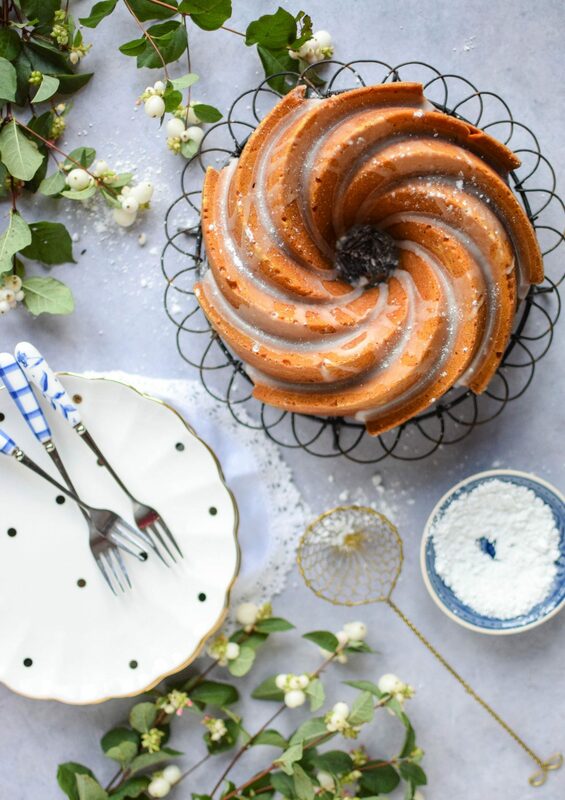 Now, I absolutely love a bundt cake. I have quite the collection of funky tins, but this one from Nordic Ware is my absolute favourite. I just adore how the glaze runs down the little grooves in the cakes surface, it makes me so happy. You can use any shape bundt tin you like, just make sure it’s a 10cup tin. This one is next on my wish list, it’s so delightfully festive. Preheat the oven to 175°C. Spray your bundt tin with non-stick cooking spray. In the bowl of an electric mixer beat together the sugar, melted butter and the finely grated zest of the lemon until combined, scraping down the bowl once or twice as you go. Add the eggs, one at a time and mix until fully incorporated. Sift together the flour, bicarb and spices in a large bowl and set aside. Scoop the canned pumpkin puree into the cake batter and mix to combine, add the flour and spices and mix to combine. 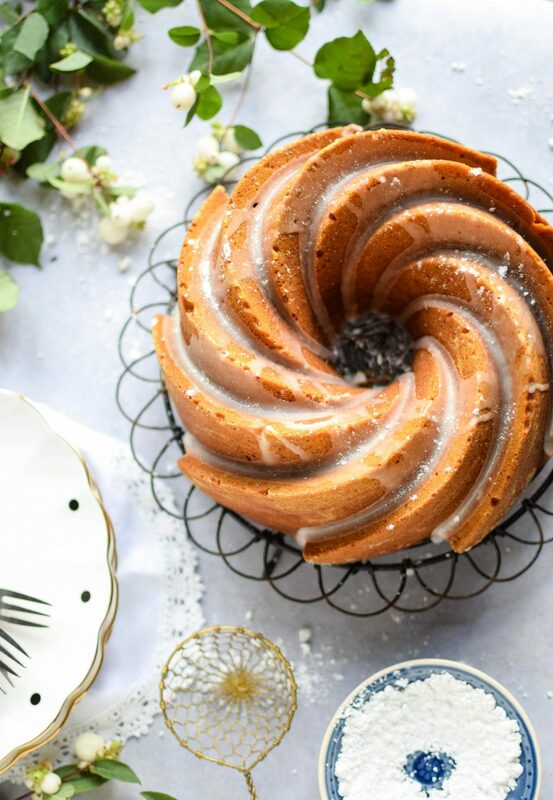 Pour the batter into your prepared bundt tin. Bake in the preheated oven for 45-55 minutes. The cake should be coming away from the edges of the tin and a cake tester will come out clean. Remove to a wire rack, leaving the cake to cool in its tin for 15 minutes. Gently prise the cake away from the tin with your fingers, paying particular attention to the part around the funnel, then turn out the cake onto the wire rack and leave to cool completely. To make the glaze mix the icing sugar and lemon juice together in a bowl. Place the cake on a cake stand and drizzle the glaze over the cake using a spoon. Try not to be too neat about it, you want it to look haphazard and deliciously rustic. This cake will keep for up to 4 days if kept in an airtight container. OMG this looks and sounds delicious! Perfect with all the Halloween pumpkins everywhere! Oh my goodness what a cake! It sounds like the perfect one for this time of year, I mean who doesn’t love some pumpkin spice to kick of the autumn season! This looks delicious and the perfect autumnal treat! We’ve got some baking planned this week so I may have to add this recipe to the rotation! Such a beautiful bake, this! I love pumpkin spice season – I can’t wait until my first bit of pumpkin arrives in our veg box so I can get baking! Oh gorgeous – such a lovely recipe for Autumn! I’m a huge fan of bundt cakes and I have a few tins myself. I think they just look so pretty as well as tasting good. 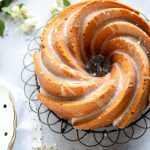 I’ve always wanted to make a bundt cake, they look so fun and I love how the dripping has that effect with the top of the tin! I’m not a pumpkin fan but I’m sure I could swap it with some nutmeg and ginger instead. Oh my goodness, this looks amazing… Not great for my current diet though. Haha!